My wife and I planned our trip to South Africa and Victoria Falls. We were flying to Livingstone, and as I was looking for a transfer from the airport to our hotel, I saw the link for Pack for Purpose on the website of Safpar, the company that finally organised the transport for us. I was amazed with the whole idea of using space in our suitcase for supplies for the school that Safpar was supporting. We got in contact with Tony and Sarah, and thanks to the generosity of friends and the pharmacy were my wife works, we were able to bring with us 23kg of school supplies and medicines. 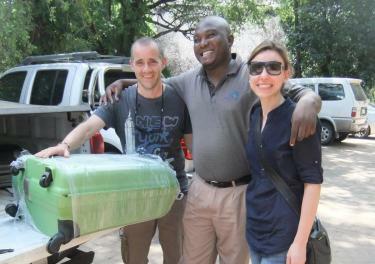 We happily delivered supplies to the kids in Livingstone, Zambia in March. The look on the faces of the children when they opened the suitcase of supplies was priceless.